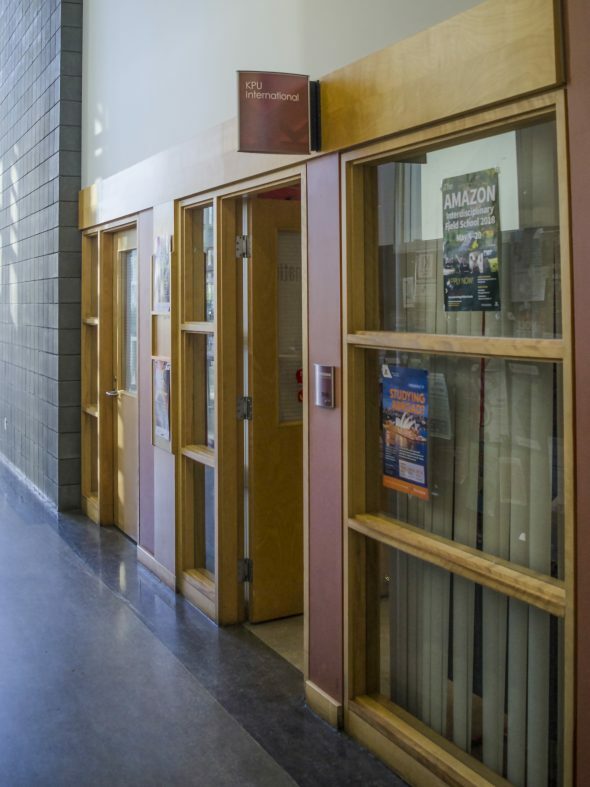 Kwantlen Polytechnic University has officially received more applications from international students for the remainder of the year than it can handle. As a result, university officials made the decision on Jan. 24 to end international student enrolment for the summer and fall semesters this year. Prospective students who have already applied before applications closed will still be considered for enrolment. The next available term for international applications will be January 2019. While KPU has long been a popular institution amongst students from other nations seeking a post-secondary education, the growth in international student applications over the past several years has been unprecedented. Ferreras says that, in the summer of 2015, university officials were expecting a 15 to 20 per cent increase in international enrolment. That year, they saw growth of over 30 per cent. Administrators again underestimated the growth in international applications that KPU would see in 2016. Ferreras says that they did not expect numbers in 2017 to rise as high as the previous year and were shocked to see an increase of over 50 per cent. Ferreras says that the university is focused on providing those international students that do come to KPU with the best possible experience. He says that, if the university takes in more students than it’s currently capable of handling, the university will likely be incapable of providing them with adequate services. This surge isn’t unique to KPU. Universities across Canada are seeing a massive upswing in international enrolment, particularly in metropolitan areas like Toronto and Vancouver. Part of the reason for this is an agreement that was made between College and Institutes Canada and the federal government in 2015 to help students coming to Canada to attend educational institutions, navigate the immigration system, and acquire expedited visas. This agreement has made studying in Canada as an international student significantly easier, and vastly increased the already significant number of students coming here from China and India. “What was already turning into a healthy market has turned into an aggressive market,” says Ferreras. With its massive South Asian community, Surrey is one of the most popular destinations for international students coming from India. Some of the international students attending KPU already have family around the area of the Surrey campus, and those who don’t can take comfort in being close to many of the cultural elements they were used to seeing at home. Over the past several years, KPU made a significant effort to recruit international students, particularly from China and India. Representatives from the KPU International office attended recruitment events and conferences around the world to promote the university to students considering getting an education in Canada. “Over a period of the last five years, the slow investment that we’ve made in exploring all these international markets has begun to pay off,” says Ferreras. With applications closed for the rest of 2018, Ferreras says that the university is in the process of reevaluating its strategies for international recruitment and enrolment. Although he divulges little about the decisions currently being made by KPU, he says that much of the process involves figuring out how many students each faculty, department, and program can handle. Because the university hadn’t expected to reach the limits of international student capacity, these are questions that haven’t previously been asked. “We certainly are accepting a lot of students from those countries, but we need to recalibrate how we’re going to strategize the future,” says Ferreras. Kwantlen Student Association International Student Representative Mamanjot Kaur did not respond to The Runner’s request for comment.